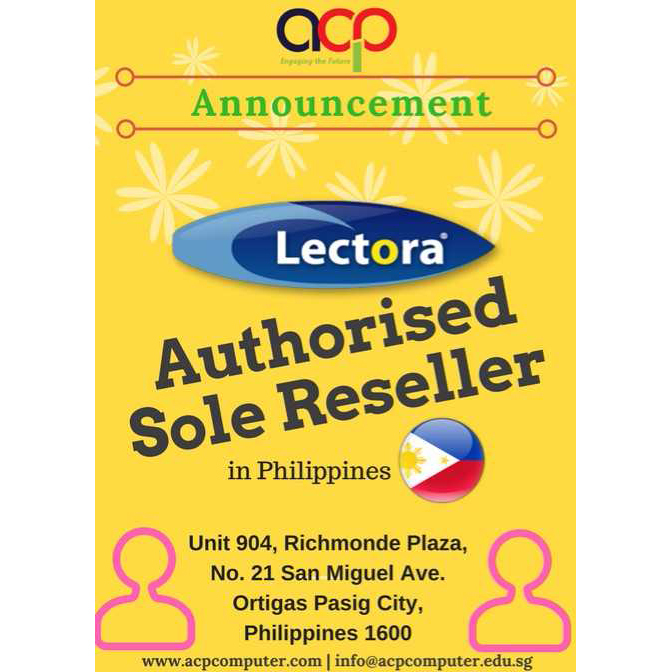 ACP is the authorized sole reseller of Lectora in Philippines . Create powerful eLearning content quickly and easily with Lectora Inspire eLearning software. Use Lectora to publish to HTML5, SCORM, or AICC.